Global Mobile Phone Insurance and Extended Warranties: A Worldwide Review is a report about the market for insurance and extended warranties sold in conjunction with mobile phones in 40 countries, namely: Argentina; Australia; Austria; Belgium; Brazil; Canada; Chile; China; Colombia; the Czech Republic; Denmark; Finland; France; Germany; Hong Kong; India; Indonesia; Ireland; Italy; Japan; Kenya; Malaysia; Mexico; the Netherlands; Norway; Peru; the Philippines; Poland; Portugal; Romania; Russia; Singapore; South Africa; South Korea; Spain; Sweden; Switzerland; Turkey; the UK; and the US. Mobile phones are defined as any mobile handsets that incorporate a conventional mobile telephony facility including smartphones. Mobile phone insurance and extended warranties can cover one or more of accidental damage, loss, technical breakdown and theft, as well as airtime abuse. This last provision covers any fraudulent use of a lost or stolen device. Furthermore, increasingly, it is also the case that mobile phone cover is being configured to cover other risks such as viral attacks plus fraudulent use of e-wallets and accessory items. The report draws on extensive primary and secondary research covering close to 1,700 organisations involved in the production and distribution of mobile phones including manufacturers, mobile network operators, specialised retailers of consumer electronics, supermarkets and other types of retailer (e.g. department store / variety retailers). The PartnerBASE™ dataset that accompanies the report logs each of well over 600 schemes for manufacturer, mobile network operator or retailer extended warranties or insurance, showing both the operating model used and partners employed for programs that are not managed internally. 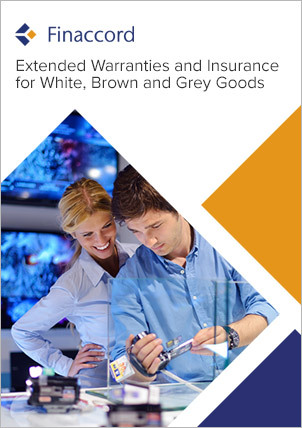 consider how the value of the global market for mobile phone insurance and extended warranties may be expected to evolve up to 2019.